Create your Company's Apps in 30 mins! with Full Appointment capability - rate as low as RM18.8/month! Clear information to tell you about the appointment date and time which serve as your wonderful membership system. No-show clients cause big impact the the business, let appointment reminders reduce the no-show case. Closely monitor your business from your mobile phone with all your operation statitics. Shorten the client identification process by system QR code and eliminate the need of lengthy IC-checking process. Provide the ultimate customer experience. 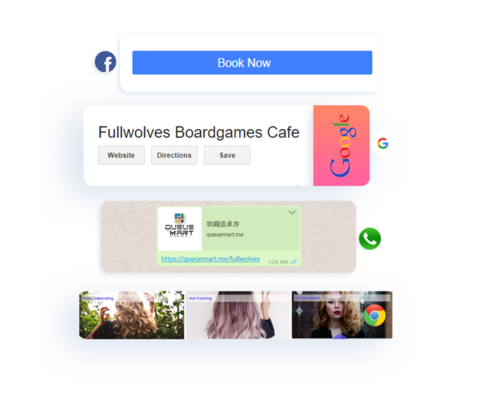 Doesn't matter if your clients booking from the Apps or click your link from WhatsApp, Facebook Messenger or your Google Ads, it all lead them to the same booking page! 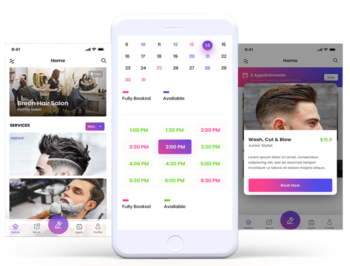 Your client get to choose their preferred time-slot that suits their free time and get instant conformation without having to wait you to reply! 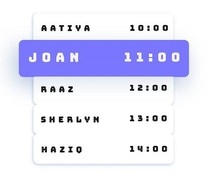 Let your clients spend their precious time with their loved ones by allowing them to come to you on time, with the help of the live queue system! They are going to fall in love with your queue management system! Monitor and control your system using keyboard and mouse for fastest access and maximum screen size. Customize your apps to create attracive interface with no programming background needed! We will set it up nicely for you! We integration your solution for you once and for all, and save your manpower on advertising and marketing! We will handle the Google Search Engine Optimization (SEO) for you for your company to appear on Google search and Google Maps, as well as your ranking in Apple Apps Store and Google Play Store! 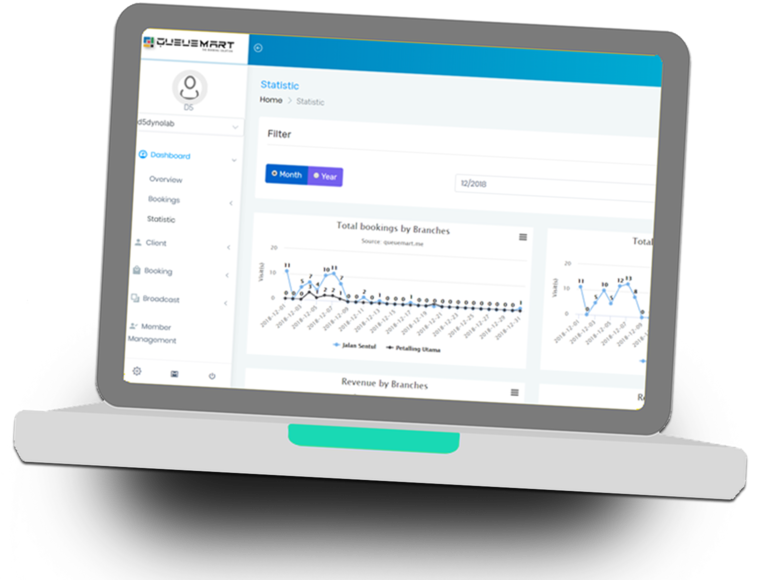 We have fully integrated with Highcharts that allows you to record and generate comprehensive online traffic analysis to scrutinize the source of your clients to double your sales! 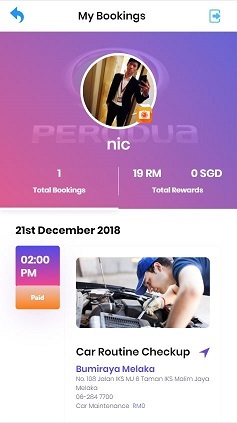 We have integrated with multiple channels like Facebook and Google Plus (with instant sign-in for clients and fully compatible ads link), WhatsApp messenger and Nexmo (to send reminders), client referral link (for them to promote your business for you while getting rewarded) and Ipay88 Payment Gateway to capture leads for your business like never before! If you have spent enough time to understand us, there is no reasons why you wouldn't come on board. 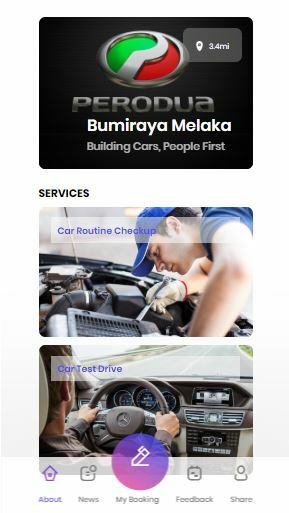 As the Best Appointment System in Malaysia, your concern is our upmost priority! 1. Is this App expensive? 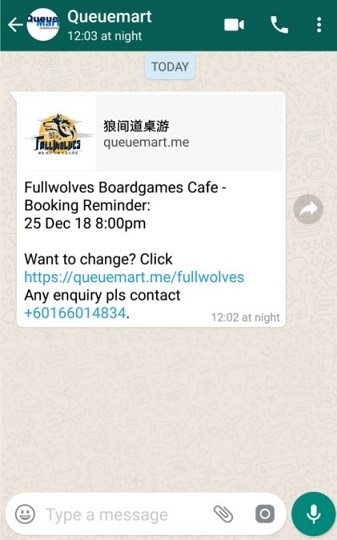 Rm10000+? 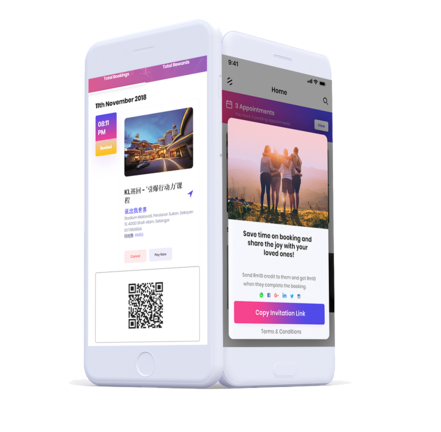 With all the functions and maintainance fee including in the monthly subscription package, you will have your own web-app from us. If you choose to create and publish your app to Google and Apple Apps Store, you only need to pay Rm2000 to get it done! 2. 3 Months to Generate this Apps? With all your company details in place, we only need 1 hour to set up your fully functional booking and appointment web-apps for you to start receiving online bookings from your clients. 1 month is needed for Google and Apple Apps Store publication. 3. Online Payment needs 1 month? 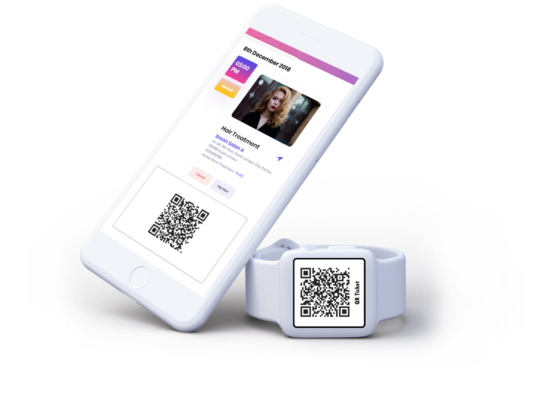 You will get instant payment gateway approval from us, while we provide cash, online bank-transfer, credit card or e-wallet payment by integrating with Ipay88. We payout to your account weekly! 4. Data and Privacy Protection? We pay upmost attention to the privacy protection. We base our database in Amazon Singapore (Hospital's Security Level) to ensure that we provide the highest level of online security. Most importantly, we strictly protect the clients' data from our end and take the leak of clients' info as serious offence. ...This online queue system and onsite queue-screen enable me to balance the non-peak hours! 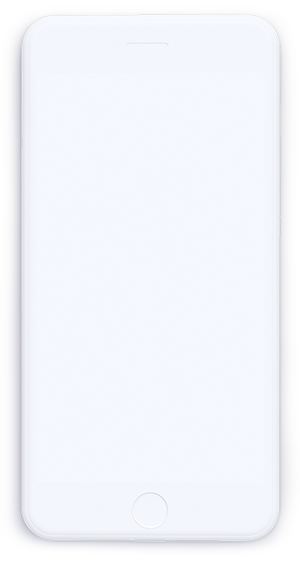 I love the reminder system too! Now my hair stylists can go for vacation when they properly block the future dates! ...Wonderful interface that allows me to showcase my beautiful outlet photos! It has gotten FB ads lead for my outlets! ...Easy to set up and wonderful queue-screen display for my outlet! ...One system for me to manage all my teachers and their students! On top of the online analysis! We have the flexible plans for you to start slow and pick up fast! We are here to give you the system you need to open more franchise.